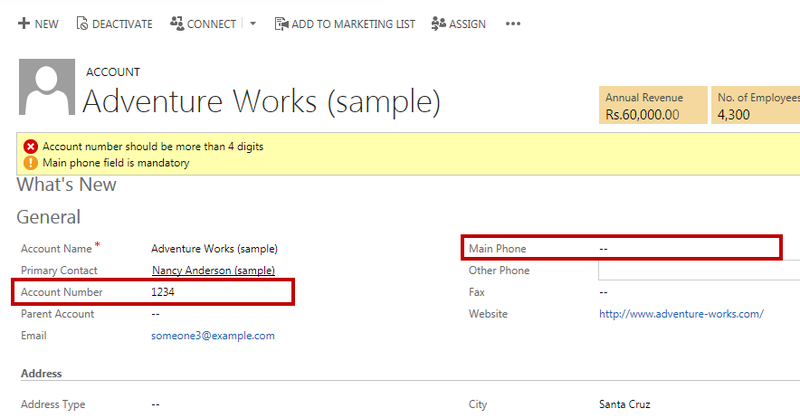 In this blog, I will explain how to display Form level Notifications in CRM 2013. The requirement was, on entering an Account form the Account Number must be greater than 4 digits and Main Phone is a mandatory field or else we will show a notification “Account number should be more than 4 digits” and “Main phone field is mandatory” on the Form level. We will use the following two methods for our task. setFormNotification(message, level, uniqueId) : To set the notification on Form level. message : Text of the notification. level : Message icon – can be “ERROR”, “WARNING” or “INFO”. uniqueid : Id to be used to clear notification. clearFormNotification() : To remove the Notification from the Form. Code can be used onChange or onSave event. The screen shot displays the notification on the Form level for Account Number and Main Phone. 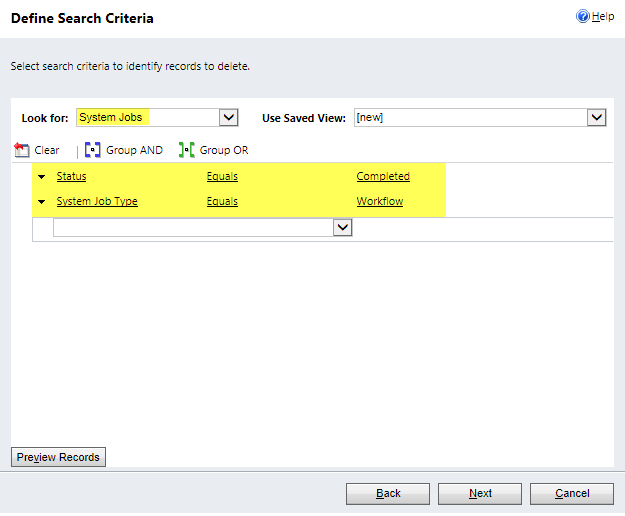 In CRM 2011, there was no Out of Box Functionality to show client side notifications on the Entity. We have used JScripts functions to show alert messages using Web Resources. 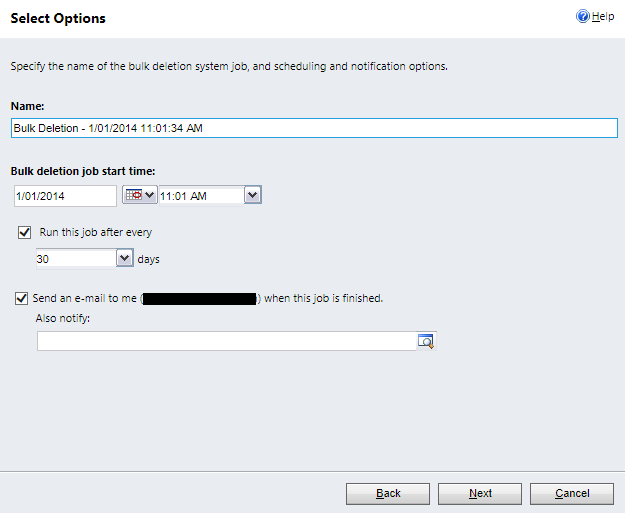 In CRM 2013, Microsoft has introduced some new methods to show notifications on client side. 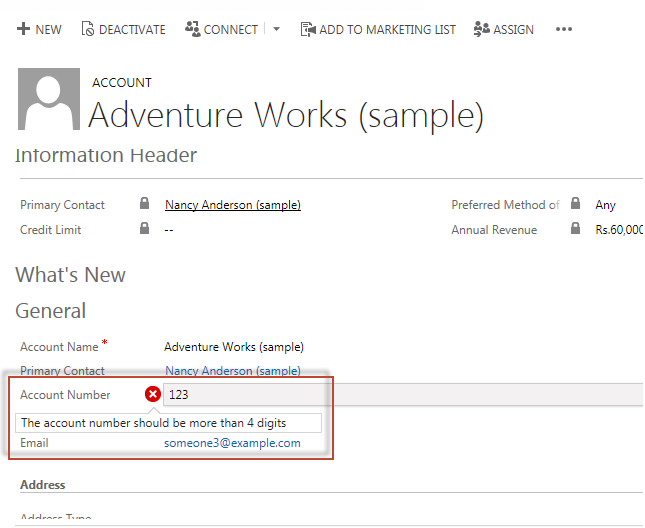 The requirement was, while entering data in an Account form, the Account Number must be greater than 4 digits, else we had to show a notification “The account number should be more than 4 digits” on the field level. We will use following two methods for our task. The Screen shot displays the notification near Account Number field.